← Enjoy a Beautiful Meal at the Carnarvon Yacht Club this Friday! Please book! 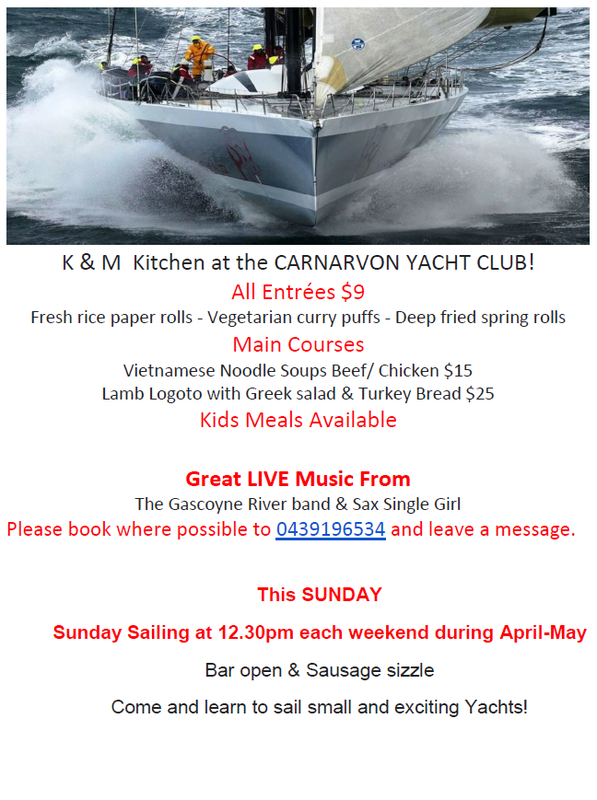 This FRIDAY – LIVE Music and GREAT Food at the Carnarvon Yacht Club!